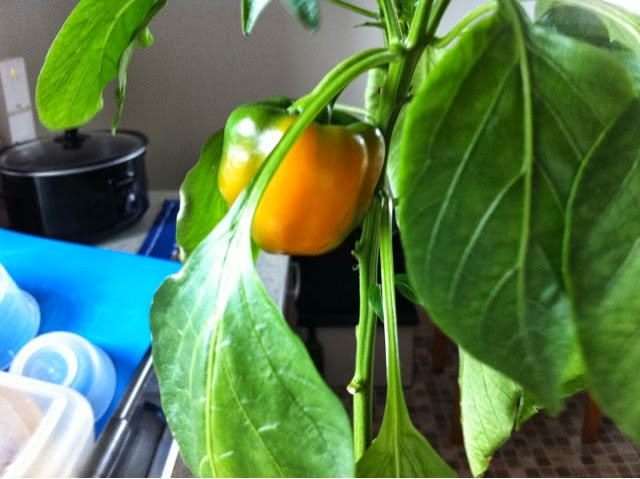 Pepper Pot Watch: Day 158: Pepper number one in Pot number 5 is also changing colour. The excitement can barely be contained! The difference a day makes. How much did you change in the last 24 hours? This little guy is a new pepper. You might even say he's turned over a new leaf... Oh dear, I'm going to go now.